The BTL division of MullenLowe is one of the winners of the pitch organized by Mercedes-Benz Romania last autumn and will coordinate a part of the events and experiential projects of the premium auto market leader for the following two years. “The events and BTL activities we run in Romania represent an opportunity for us to make a difference on the local market and to get closer and closer to our public. Therefor it is very important to transpose into each action our brand values and experiences, and MullenLowe has convinced us that it is one of the partners alongside whom we will find creative and efficient solutions to do this,” says Mirel Dediu, Corporate PR/Communications, Mercedes-Benz Romania. MullenLowe will be responsible of developing and implementing the creative concepts for Mercedes-Benz Romania’s events, making the most of the company’s partnerships with industry events through activations dedicated to the public, offering support in building the BTL strategy and in organizing internal events. “We wanted very much this partnership with Mercedes-Benz and we got 100% involved in winning the pitch, due to its BTL potential, as our team has the necessary experience and power to develop it. We are confident that the results of the projects we will make together in the following two years will consolidate our position as a Mercedes-Benz agency for the events that take place in Romania,” says Gabriela Alexandrescu, Client Service Director, MullenLowe. 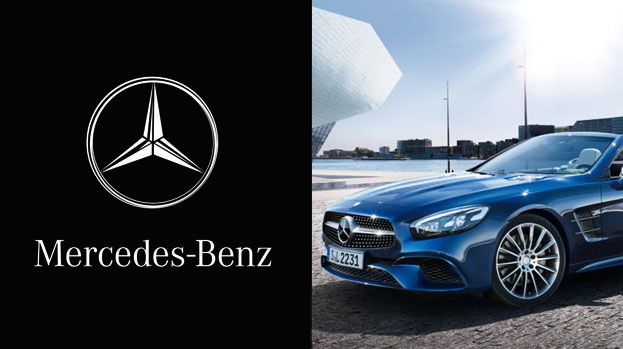 “Our collaboration with Mercedes-Benz offers us the opportunity to think and implement out of the box solutions in order to grow even more the brand’s visibility and to bring it closer to new targets. Mercedes-Benz is already an important brand for many Romanians and we are prepared to translate this advantage into memorable experiences that will support our client’s business objectives,” adds Oana Popescu, BTL Director, MullenLowe. The Mercedes-Benz Romania team involved in the events & experiential projects is formed by Mirel Dediu (Corporate PR/Communications, Marketing & PR Mercedes-Benz Cars), Sabina Rugina (Marketing & PR Mercedes-Benz Cars), Gabriel Craciun (Marketing &PR/ Communications Vans), Adina Enache (Marketing Communication Trucks), Maria Teodorescu (Marketing Communication Assistant Truck&Bus), Iulia Cernusca (Product Management & Communication Accessories/ Internal Communication & Event Management). The MullenLowe team for Mercedes-Benz Romania: Gabriela Alexandrescu (Client Service Director), Oana Popescu (BTL Director), Ionut Maholea (BTL Executive), Mihaela Rotariu (BTL Manager), Dan Matache (Field Manager), Adriana Tudoran (Account Director), Bianca Iancu (Account Manager), Simina Zidaru (Senior Copywriter), Alina Nechita (Senior Art Director), Andrei Munteanu (Group Creative Director), Victor Oprisan (Group Creative Director).